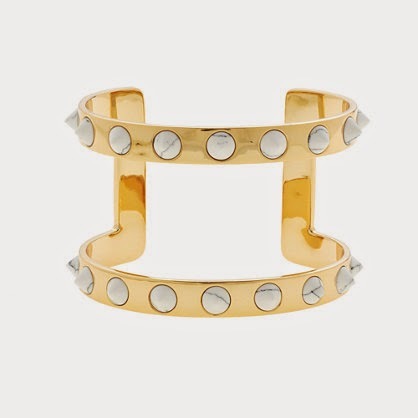 I saw this spike cuff this weekend while flipping absentmindedly through the J. Crew catalog and it stopped me in my tracks. I actually ripped the page out of the catalog (how old school is that? ), so that I wouldn't forget to pin it later. Love how the white-color tones down the punkiness of the spikes--it's cool and just edgy enough. But the best part? Use the discount code HISUMMER and you'll get 30 percent off. (Just click here.) Now how's that for cool? Thanks for sharing - I love this look!